My first forray into Malfi, outside of a short story or two, and what an excellent choice to start with. Carl is a patient locked up in a psychiatric hospital for the murder of his wife which he has no recollection of doing. 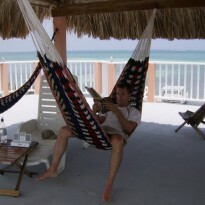 At night, he starts dreaming of leaving for the hospital to wander on an ocean boardwalk of a deserted sea resort. Night after night, he meets the same mysterious drifter who gives him a set of numbers and a silver key along with a set of instructions that make no sense. Confused and trying to decide what is real and what is dream, Carl swallows the key. The next morning in the hospital, he passes the key and the real adventure begins. 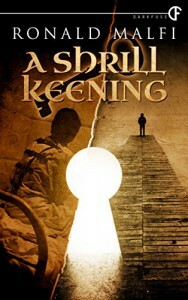 A Shrill Keening is a shadowy trip into the unknown. As Carl attempts to piece together what is real and what isn't, we share his confusion along the way. The clues slowly are put into place like a puzzle that is still to incomplete to comprehend what is going on. Malfi does and excellent job at leading us down a path that eventually reveals a Lovecraftian ending. Good stuff.